Rigorous standards. Rigorous instruction. We hear the term “rigorous” used often by educators. What does it really mean for our standards and instruction to be rigorous? For me, having rigorous standards means having high expectations for ALL of my science students. Rigorous instruction means utilizing strategies in my classroom that support my students as they work to master those high expectations. In Alabama, teachers are required to teach the state course of study standards for their grade level or subject area each school year (Code of Alabama, 1975, §16-35-4). The current state standards, which committees of Alabama teachers and other Alabama educational stakeholders developed, are rigorous. These required standards are the WHAT of education and they help ensure high expectations for ALL students across our state. Alabama districts, schools, and teachers decide HOW to move their students towards mastery of the required standards through their curricular and instructional choices. A quick look at a single science standard – before and after. Here is a comparison of similar chemistry standards from our 2005 Alabama science course of study and our current science course of study (https://alex.state.al.us/browseStand.php). Why does it matter that we use rigorous standards? Notice the verbs in bold print. Prior to 2015, we only expected Alabama chemistry students to identify trends on the periodic table. In contrast, we now expect Alabama chemistry students to use the periodic table to predict, analyze, and explain those trends based on their electron arrangement. In my experience, students retain their learning much longer when we require them to predict, analyze, and explain. This occurs because of the types of things students are doing to master the standards. Alabama business and industry leaders understand this. Educational stakeholders in business and industry value the skills students gain, along with the knowledge they build, from our current standards. If we want Alabama students to remain competitive in our global economy, we must continue to require Alabama teachers to maintain high expectations for ALL of our students through our current rigorous standards. Dr. Amy Fowler Murphy has been an educator for 20 years. In her current role, Dr. Murphy serves as the secondary science supervisor for Jefferson County Schools in Alabama. Before coming to Jefferson County, Dr. Murphy was a science specialist with the Alabama, Math, Science, and Technology Initiative at the University of Montevallo and a science teacher in Hoover City Schools and Birmingham City Schools. She has also taught a variety of education courses at the University of Alabama and serves on the board of Alabama ASCD. 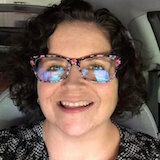 Dr. Murphy earned her EdD in Curriculum and Instruction from the University of Alabama, holds Instructional Leadership certification from the University of Montevallo, and is a National Board Certified Teacher. 0 Comments on "Teacher Voices: Why Do Our Rigorous College and Career Ready Standards Matter? Look at This Quick Before-and-After Comparison by Science Teacher Amy Murphy"